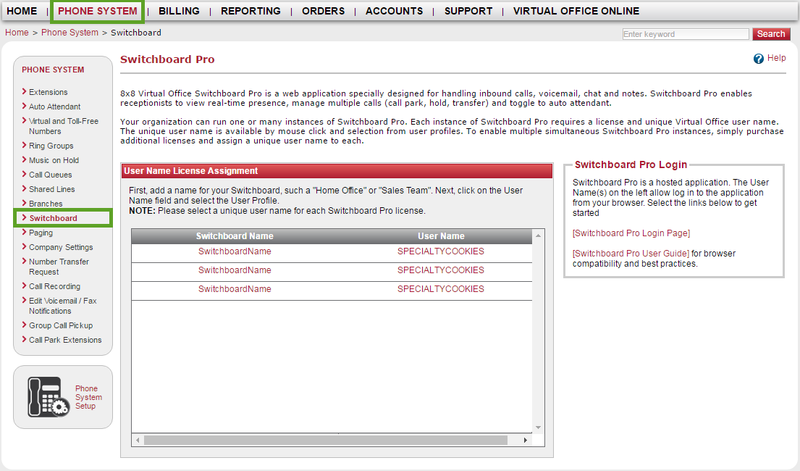 Note: To configure Switchboard Pro, you must be a PBX administrator with access to Account Manager. On Switchboard Users, click View. The Switchboard Pro page opens.